As a mom, I can honestly say my kids are always ready to go before I am in the morning. They seem to wake up naturally perky. Well, I can’t say that happens to me. For this very reason, I keep instant coffee in my kitchen. Every morning, you’ll see me drinking a cup of instant coffee. When raising my kids, it is a necessity in my house, not a want. #1. 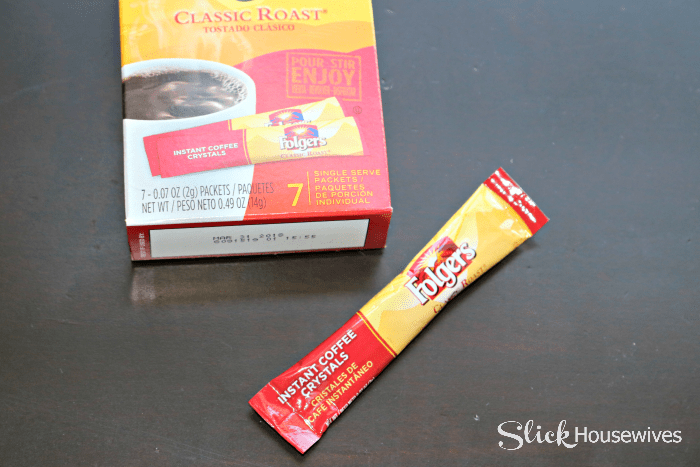 It’s a quick solution- When taking kids to school or running errands, Instant coffee is a quick solution. I don’t have to wait for a whole pot to brew and I can just be on my happy way in the morning. #2. Easy to warm up- A lot of times I forget about the coffee I made. I don’t have to worry about the pot turning off on me because I can just easily make another cup or warm up one cup! Woohoo for instant coffee. #3. Pick me up- Sometimes I love just making a small cup of coffee or even a half of a cup. I don’t like to be wasteful and instant coffee is the perfect solution. #4. Keeps my stomach from growling- I am not a huge breakfast person in the morning. I need a cup of my instant coffee before I can even think about eating dinner. #5. It smells so good- Who’s with me? Coffee smells SO GOOD! How do people live without the smell of coffee, especially instant coffee? I LOVE it! #6. Coffee makes me happy- Another reason you need a cup of instant coffee to start your day is because it makes you happy. Instant coffee never forsakes you, it just makes you happy— all day long. #7. It’s a budget saver- Instead of going through the drive through every morning for a cup of coffee, I can make an inexpensive cup of Instant Coffee right at home! #8. 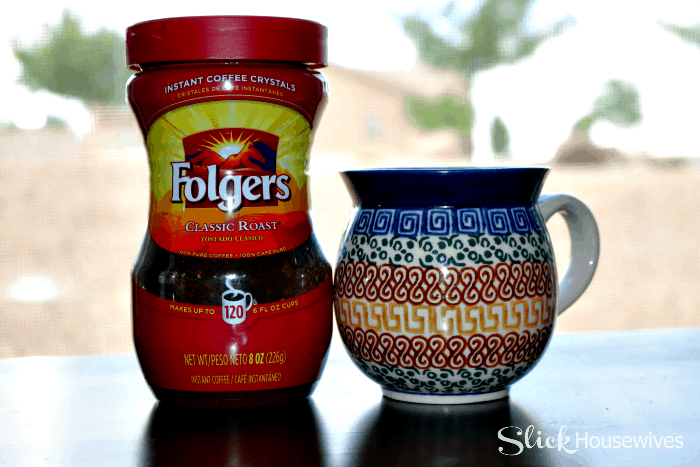 Instant Coffee is the perfect ingredient- There are tons of homemade Folgers Recipes that you can make yourself. Whether it’s an iced latte or a fancier drink like a mocha — the options are endless. I really love having all of these options at my disposal. #9. It’s portable- This is probably one of my favorite reasons for having instant coffee in my life—YOU CAN TAKE IT WITH YOU! You better believe I have been known to stick instant coffee in my purse and head out the door. Instant coffee can be made anywhere there is hot water. Mom score! 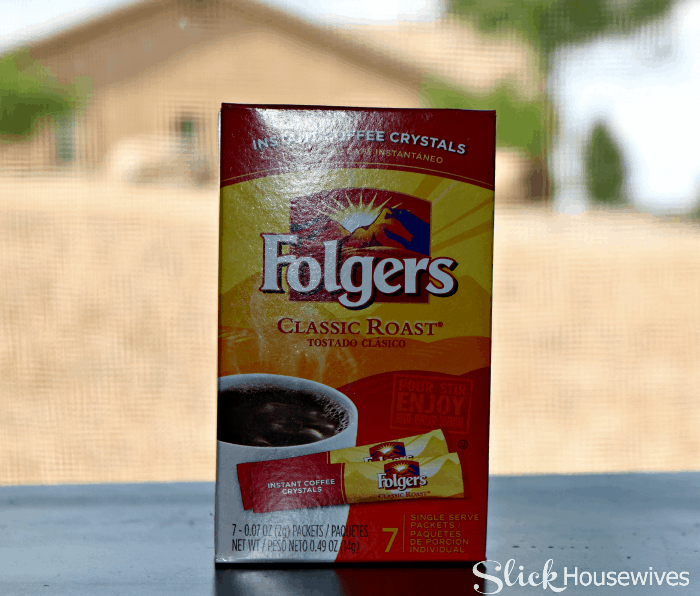 I just listed 9 reasons you need a cup of Folgers instant coffee in your life. No matter what you’re doing morning, noon, or night, you can never go wrong with a cup of Folgers Instant Coffee!